Knowing the symptoms of a broken sprinkler valve can make troubleshooting your irrigation system problems much easier. When a sprinkler valve is not working properly, the effects can vary widely, because sprinkler valves have many components that can break or malfunction. To complicate matters, bad valves don’t always behave the same way. 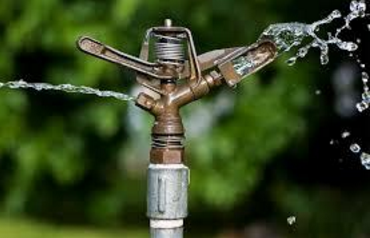 Bad valve symptoms can also look like a broken sprinkler head or even household water pressure problems. And if you can't pinpoint the issue, J & R Sprinkler can troubleshoot any sprinkler problem for any system. It's what we do best. Leaks are a pretty obvious symptom of a broken sprinkler valve. Leaking around the valve could be caused by a number of issues. Look closely at the value to see from where the water is leaking. This is a bad valve symptom that is easy to miss. 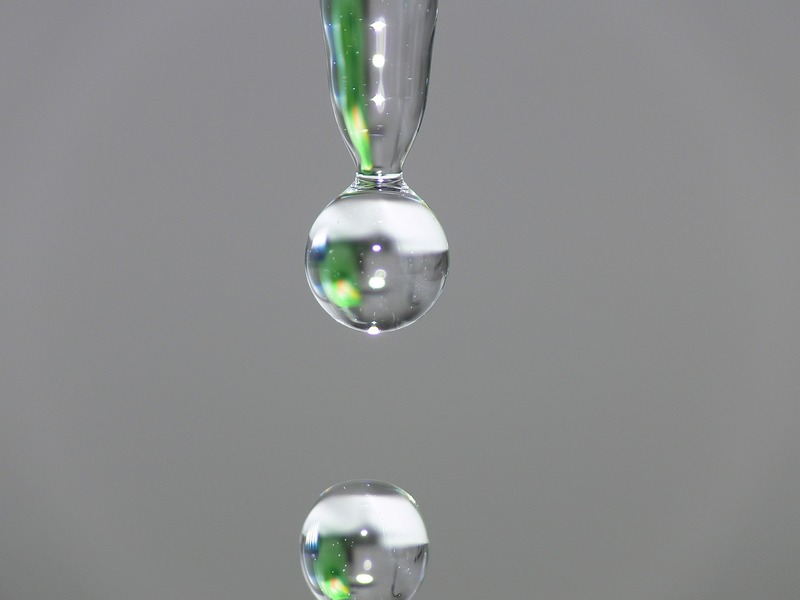 When there is standing water or leaking water at the sprinkler furthest from the sprinkler valves, it could be the sprinkler head – but it could also be that corresponding valve. Standing water is a sign that the valve is not shutting off completely. If the sprinkler valve will not turn on with the timer it can be a bad valve symptom, but it can also just be a wiring problem. Try turning the sprinkler valve on manually to isolate an electrical issue. When you troubleshoot water sprinkler valves, if the sprinkler heads seem to be getting very little or no water, but the valve is clearly on, this could be a bad valve symptom. The sprinkler valve that's not allowing enough water flow through the valve could cause sprinkler pressure problems. If all of the sprinkler valves are not getting enough or any water, then the problem is most likely not the valves. Does this seem like more than you want to try and troubleshoot on your own? No problem. Many companies prefer to avoid sprinkler repairs, but at J & R Sprinkler, it is what we do best. Whether there is a hidden leak, broken valve, or the automatic timer is malfunctioning, we will troubleshoot the system and make the necessary repairs with ease and in a timely manner. As we perform a repair, we are always mindful of your individual needs and watering requirements. We have been building solid relationships with our valued customers since 1977. We know that in order to succeed at what we do, we have to keep our customers happy. And our first priority is you. We still run our family business based of our founding principles of trust and dependability, so that you can feel confident in continuing to call us back. Give us a call today to get your system checked for leaks and problems. We offer free estimates: 303-688-5909. Periodic droughts, characteristic in the Denver area, limit the total water supply available for outdoor landscape watering, indoor consumption, manufacturing, agriculture, and other uses in Colorado’s semi-arid climate. Our first priority is you, the customer, and we know that in order to succeed at what we do, we want to keep you happy. So why not let us, here at J&R Sprinklers, do a lawn sprinkler installation and/or audit, so that you don't have to worry about keeping your landscaping looking premier while also honoring our limited local resources? Efficient irrigation requires a quality sprinkler system, excellent water management skills, and regular system maintenance. Tune ups and renovations of your home irrigation system will greatly improve water coverage – resulting in both better plant growth and water savings. Additionally, seasonal adjustment of irrigation controllers yields substantial water savings and better plant health. As we move forward, new technologies will also likely result in improved water management. And remember that an irrigation audit can point to where your best water savings can be achieved. Regardless of the type of plants grown, a tune-up of home irrigation systems can yield substantial water savings. Attention to sprinkler system management, maintenance, and needed renovations can conserve water while producing better plant growth. Keep in mind that the average home landscape uses as much as 50% of the total water consumed in a given household. Changing sprinkler system settings on the control clock/timer are the easiest and fastest water-saving changes to make. Because different types of plants have different water needs, set zones/stations to apply the amount of water needed by the particular plants grown in that zone. Also, plants require less water in the cool of spring and fall, and more water in the heat of summer, so it’s a good idea to change controller run times to meet the seasonal needs of plants. Too much water is often applied to clay soils, which are prevalent in the Denver area, depriving plant roots of the oxygen they need to function properly. Applying the right amounts of water to water your lawn will produce healthier roots. So practicing seasonal adjustments not only conserve water, they result in healthier plants. A shady or northern exposure will likely require only half of the water of a level, sunny landscape, so matching your run time to exposure is also a good water-saving practice. A south or west-facing slope may require two times the water of a level landscape area that is in full sun. Adjust run times on the controller accordingly. 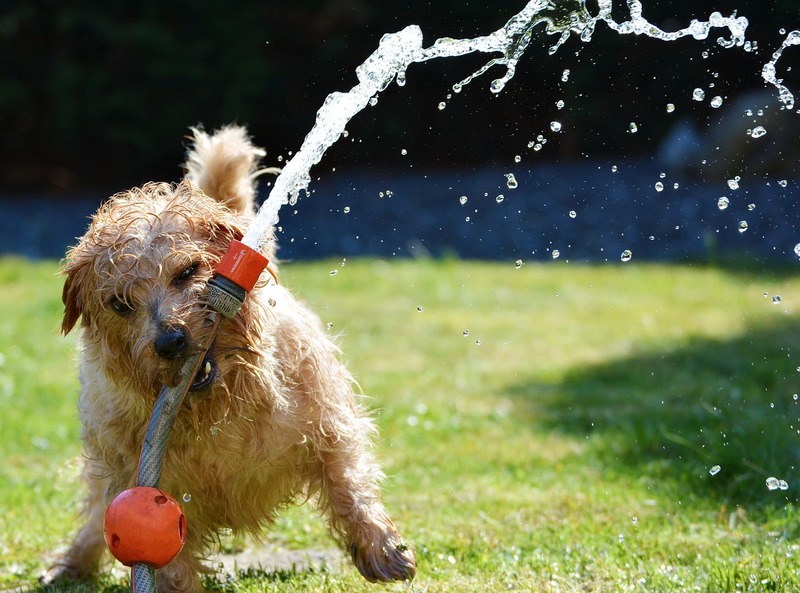 Whether we installed your irrigation system or not, here at J&R Sprinklers, we are ready to come out and tune-up, maintain, audit, and/or adjust your sprinkler system. You count on us for your irrigation needs in Denver. Contact us at 303-688-5909 and we’ll come out to ensure you’re getting just the right amount of water on your lawn and landscaping. If sprinkler irrigation systems are overused, excess water that is not absorbed into the soil will linger around on grass blades and plant leaves. This excess water promotes the growth of fungi including mushrooms and rust fungus, which is a reddish orange type of grass that grows in moist conditions. If you notice either of these fungi growing in your yard, take a close look at your watering schedule. Learn more about how to deal with grass fungal diseases in your yard. 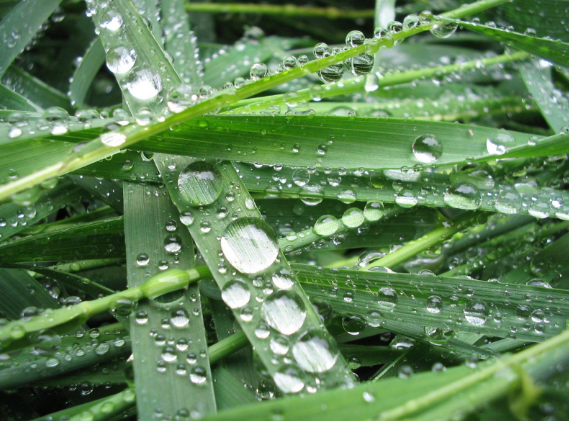 One of the most common signs of overusing sprinkler irrigation systems is excess water on the surface of your grass. If you feel your feet seeking into a puddle as you walk across the lawn, or the surface of the lawn feels spongy, you need to cut back on watering. Mosquitos thrive in areas with standing water, so if you’re overusing sprinkler irrigation systems, you may notice an influx of these pesky little bugs flying around. But, mosquitos aren’t the only insects that you have to worry about. Overwatering also attracts beetles and worms, which thrive in damp areas and feed on your grass. Not only will you have to fight off insects, but you’ll also have to replace any plants or grass patches that have been destroyed by these bugs. When sprinkler irrigation systems are overused, lawns become vulnerable to weeds. Some weed species such as smooth crabgrass and yellow nutsedge grow especially well in areas that have been overwatered. 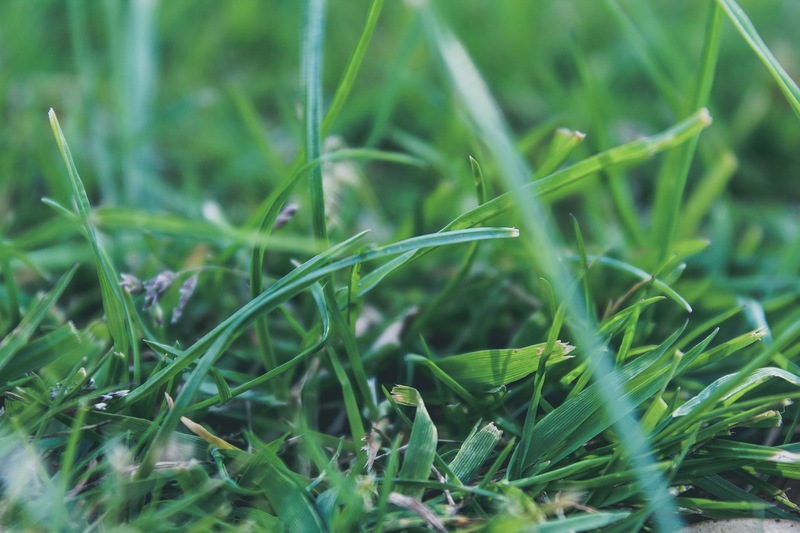 To prevent these weeds from taking over your lawn, cut back on watering your lawn and remove the weeds, making sure to get the entire root out of the ground. Thatch is a combination of slightly decomposed plant leaves, roots and stems that naturally forms on top of your lawn over time. Haven’t seen it? Thatch lies very close to the soil’s surface beneath the grass blades, so it’s not easily visible. This excess plant material is beneficial to your grass’s health. It helps prevent damage caused by foot traffic and lawn mowers and slows water loss. However, when sprinkler irrigation systems are overused, the microorganisms that break down thatch cannot do their jobs, and thatch begins to build up. Once it is around one-inch thick, thatch stops helping your lawn and begins to hurt it by preventing oxygen from making its way to the roots. Too much thatch also creates the ideal environment for bugs to start breeding and feeding on your lawn. If you begin to notice thatch building up underneath grass blades, this is a sign that you are overwatering your lawn. Want more advice to help you maintain a healthy lawn? Let our team of professionals with over 35 years of experience help you with your lawn care needs! Contact J&R Sprinklers at 303-688-5909 to get a free estimate today! During the summer, you should only use sprinkler irrigation systems during the early morning hours when outside temperatures are at their coolest. When you use the sprinklers during these hours, the water won’t evaporate from the heat before being absorbed into the soil. If you choose to water your lawn during the afternoon when temperatures are scorching, you will have to use a lot more water to make sure your lawn is getting what it needs to stay healthy and lush. Many people believe that watering during the evening hours is fine since temperatures cool down during this time, too. However, if you water your lawn at night, the grass will stay wet for a long period of time and either fungus or mold could easily grow. Read five summer lawn watering tips. As the seasons change, so do your lawn’s water needs. During the summer, sprinkler irrigation systems should run until the lawn is covered by about one inch of water in every area. The lawn should be watered once a week to maintain consistency and keep your lawn looking fresh and healthy all summer long. Grass tends to grow more quickly in the summer, so you may have to break out the lawn mower on a more regular basis than usual. It’s recommended that you keep grass around two and a half to three inches tall to protect the soil without making your lawn look unkempt. It’s important that you take the time to carefully mow your lawn to avoid running into your sprinklers. Sprinkler irrigation systems are often damaged by homeowners pushing a mower without paying attention to the path in front of them. If you do hit a sprinkler with the mower, be sure to get it replaced or repaired as soon as possible so that section of your lawn doesn’t suffer. Just like grass, bushes will grow faster in the summertime, too. Be sure to take a few extra minutes every time you mow your grass to trim these down as well. If bushes begin to grow too wide, they can interfere with sprinkler irrigation systems by blocking the water from hitting the grass that grows underneath. Also, make sure that you are picking up anything that your kids have left in the yard like their bicycles or scooters. If placed in certain positions, these could also mess up the range of your sprinklers. Heavy toys could also damage your lawn’s grass, so it’s best to keep these in the garage or on the sidewalk. Are you ready to install sprinklers in your yard? Let our team of professionals with over 35 years of experience help you transform your yard. Contact J&R Sprinklers at 303-688-5909 to get a free estimate today! Hydroseeding is quickly becoming a very popular method for seeding lawns. Hydroseeded lawns have a mixture of grass seed, water, fiber, mulch, and fertilizer blended together and sprayed over a prepared seedbed. This protective cocoon of ingredients around the seed helps insure germination. Caring for a hydroseeded lawn is imperative to ensure successful germination and grass establishment, and the most hassle-free watering option is a sprinkler irrigation system. At J&R Sprinklers, we want you to have the very best information when it comes to caring for and watering your hydroseeded lawn. Allow the mulch mixture to dry before watering. After the area is hydroseeded, it will usually be dry by the next day. During the first two weeks, water all areas every day, keeping area slightly moist. Don't water so much that you have run-off, as this will carry away the seeds. Don't water if heavy rain is predicted within the next 12 hours, nor when the daytime temperature exceeds 85 degrees with high humidity. During extreme heat conditions, you can cook the grass and invite fungus by watering in temperatures over 85 degrees. In shady areas, allow the mulch to dry out between waterings. After you have mowed the lawn once, water less often while increasing the watering time. This will promote deeper root growth. A lawn should receive one to two inches of water per week. Allow the hydroseeded area to dry out before mowing each time, and mow grass as soon as it's needed. Cut the grass on a high setting for best lawn care. This keeps the grass cooler and keeps weed seeds from germinating. Try not to mow off more than 1/3 of the plant when mowing each time. And it is not necessary to pick up your clippings unless the grass cuttings are smothering the new grass. In the first year of growth, special attention should be paid to root development. Phosphorus will stimulate root growth and is necessary for the development. The best fertilizer to use initially is a "starter" fertilizer where the second number in the composition (phosphorus) is greater than the first number (nitrate). Once your lawn matures, you can begin to use fertilizers with more nitrogen. We suggest never going over a 2:1 ratio (nitrogen to phosphorus) in a mature lawn. Weed and feed fertilizers typically can be applied after three mowings. We are happy to educate you on the benefits of hydroseeding and the best sprinkler systems to keep your lawn thriving after the seeds are down. At J&R Sprinklers, we can help you decide on the best options for your landscape, time, and budget. We know that in order to succeed at what we do, we have to keep our customers happy, and our first priority is you. Contact us today at 303-688-5909 to get more information about our hydroseeding program, as well as the best sprinkler irrigation system for your home or business.